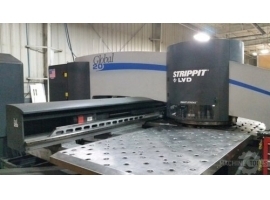 ID #: 387914 Brand: STRIPPIT LVD Model: 1500H/30 Type: Turret Punches Condition: Excellent Year: 1999 Control: CNC (GE FANUC 180IP) Seller: Show me who the seller is... 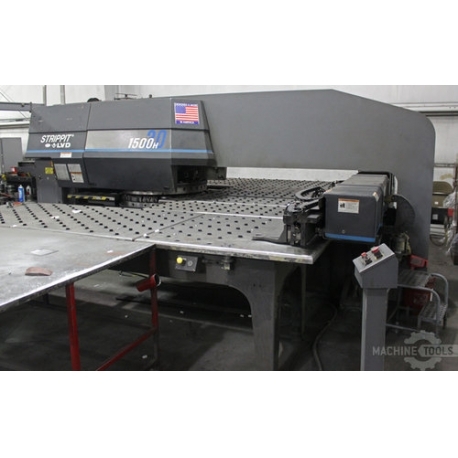 Location: Newtown, Ohio United States Stock #: 27975 Price: Request a QuoteAdded to Request list Tonnage: 33 T # Turret Stations: 40 Control: CNC (GE FANUC 180IP) 33 TON STRIPPIT/LVD 1500H30 (2.5M) CNC TURRET PUNCH THIN TURRET 1999 Maximum Material Thickness: .312" Hole Capacity: 3.5" Tonnage: 33 Tons (30 Metric) Nominal Workplace Size: 60” x 99” One Station Index Time: 0.9 Seconds Number of Tool Stations / Turret Configuration: 40 / Thin Number of Auto-Index Stations: 3 Size of Auto-Index Stations: 3.5" Index Speed: 45 RPM Axis Speed: 3200 IPM Hits Per Minute on 1" Centers: 350 HPM Hits Per Minute on .062" Centers: 900 HPM Equipped with: GE Fanuc 180iP CNC Control Auto Index "Smart Stroke" Hydraulic Press Drive Will come with turret full of thin tooling. 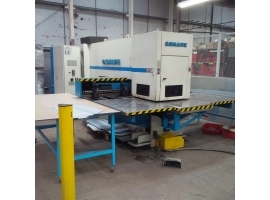 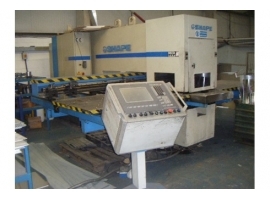 An ultimate source of used LVD punch presses, punch/laser and laser cutting machines, press brakes and shears. 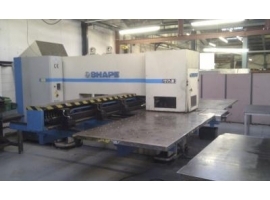 The available offers of sheet metal processing equipment from all over the world stored in one place.